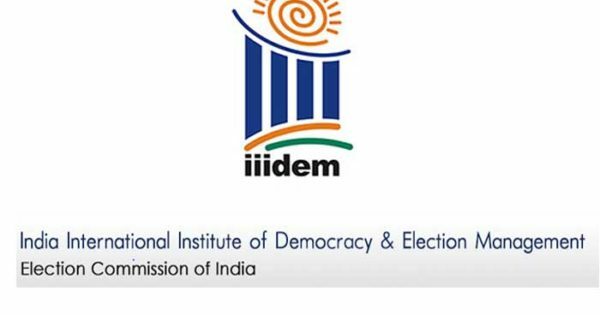 The India International Institute of Democracy & Election Management (IIIDEM) conducted a motivation programme for election officers of Nagaland. The IIIDEM team conducted the experimental learning residential training for election officers of the State of Nagaland, from December 18 to 20 at the Administrative Training Institute (ATI), Kohima. The Chief electoral officer (CEO) of Nagaland, Abhijit Sinha was the chief guest of the three-day training programme. Addressing the participants, Sinha stressed on the importance of training adding election may come and go ‘but each individual has a role and responsibility to play in conducing elections’. He apprised the participants that dealing with different types of people would be different and requires individual approach. He also urged the participants to be prepared to face any challenges that come while conducting the election smoothly. He further called upon the gathering to maintain good health to be able to perform their duties and responsibilities with zeal and commitment. Sinha also pointed out that improvement in technology, would help them execute their task conveniently. The training programme was led by Dr M Parivallal, Angels J K, D D Mohanty, Bharvik Gouswamil, Mupur Purohit and Sumitra Gautam. Altogether 262 trainees from all the districts of the State attended the training programme. Trainees also spoke about the achievement and positive impact through the training. India International Institute of Democracy & Election Management is based in Bangalore and has been working all over the country on election management, team leadership and motivation. The tenure of Nagaland assembly ends in March 13, 2018. Elections to this northeastern state will be held somewhere in February end of the first part of March next year, along with Meghalaya and Tripura. The 2018 election in Nagaland is crucial as it will be held after the finalization of the Naga agreement that was signed between the Government of India with the NSCN-IM.